The P.E.T.S. Staff works tirelessly to implement the P.E.T.S. Mission in every task they take on. Customer service means making sure you love your visit. It also means making sure your pets are cared for like family. When it comes to your furry family members, our staff would probably take each one home if you’d let them. Leslie Harrelson founded P.E.T.S. Low Cost Spay and Neuter Clinic in July of 2007. Leslie graduated from Midwestern in 2000. She is currently the President and CEO of P.E.T.S. After spending 11 years running the day to day operations of P.E.T.S., the growth of P.E.T.S. demanded that Leslie focus on larger goals for the organization. She spends her days overseeing all service and program operations while focusing on clinic growth and fundraising. George Tipton began volunteering at P.E.T.S. in Spring of 2015 offering digital consulting and website work. George completed his postgraduate studies in the Fall of 2015. He came on as P.E.T.S. Director of Digital and Development in May of 2017. George creates and manages P.E.T.S. digital properties including the website, social media, Google Ads Grant Account and countless other digital functions. He also develops donor and fundraising strategy along with managing donor software and donor communications. Dr. Tammen received her Doctor of Veterinary Medicine degree from Texas A&M. She is the owner and full service vet of Dean Dale Pet Clinic. Dr. Tammen was the first vet to agree to help P.E.T.S. and we are thrilled to still have her on board. Dr. Yoder received her Doctor of Veterinary Medicine degree from Mississippi State University. Dr. Yoder worked at Spay Kansas City as a spay and neuter vet. She comes to the P.E.T.S. Clinic with a passion for spays/neuters and shelter medicine. Dr. Rouillard received his Doctor of Veterinary Medicine degree from Oklahoma State University. He practiced as full service vet for 22 years in Wichita Falls. 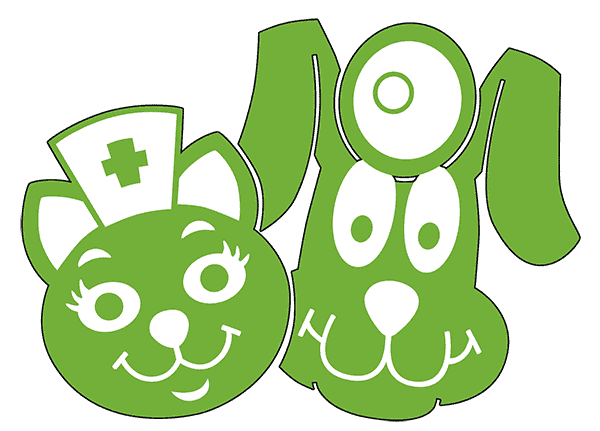 Currently, Dr. Rouillard splits his time between PETS and ABC, a spay and neuter clinic in Lawton. I have a B.A. from Southwestern University in Georgetown, Tx.Currently I have 5 furry creatures living with me. Trixie is 14 and in the photo with me. 4 kitties: Spike, Lewis, Dilly and Loopy Fiasco.My idea of a good time is sitting by my backyard fish pond on a sunny day reading a book. I love to garden, hike any great nature area, and travel. I have one animal at home. His name is Hammer and he is in the photo with me.I’ve been a staff member at P.E.T.S. for 5 years. I enjoy watching music videos. I am a graduate of Archer City where I was born and raised. My best friend is my 11 year old tabby cat Bubba. I rescued Bubba off the streets as a kitten. I have a 9 year old son River who shares my passion for helping animals. I love being a Lead with P.E.T.S. Chain-Off and volunteering with my family. My family and I have 4 dogs at home: 2 pits, a chihuahua and a frenchie. Bo, the frenchie, is in the photo with me. He is a rescue from a puppy mill. I graduated from Hirschi High School and really enjoy serving the Wichita Falls community. I’m currently working on my B.A. from M.S.U. Pit bulls are definitely my favorite breed. I have two spoiled ones that own me. Gita a rescue and Spirit a birthday present. I volunteer more hours than I work because it’s just in me to help. I like making a difference in our wonderful community. I graduated from MSU with a B.A. in Bachelors in Business Administration and a minor in Marketing and Finance. I also volunteer for the Humane Society of Young County and TPC. I have a 12 year old daughter Lexi. Lexi fosters small mammals from HSYC and she has an FIV positive cat named PePe. I graduated from Rider high school. I have 2 German Shepherds Cali and Rocco. Rocco is in the photo with me. I am a proud mother of two beautiful daughters, Audriana and Aliyah. I graduated from Wichita Falls High School. I have 4 dogs, 4 cats, 6 rats, a gerbil, and a bearded dragon. Sassy is my personal dog in the photo with me. I’ve worked at P.E.T.S. for 3 years, I volunteer with P.E.T.S. Chain-Off. I support P.E.T.S. because I believe every animal should have a loving home and we make sure our animals in the community have just that. I have been at P.E.T.S. for a little over a year. I had volunteered previously before I got hired on. I support P.E.T.S. because what we do here is very much needed in animal welfare, and it feels good being able to make a positive impact in our community. One fact about me is that I play video games competitively in my spare time, I have reached as high as the top 1% globally in rocket league. I have 4 animals at home. Rally, Beatrice, Jimmy Choo and Manola they are all dogs. I started as a volunteer in 2014 after relocating from East Texas. P.E.T.S. is so much more than a spay/neuter clinic. It allows me to take care of not only to animals but the people who love them. I could not do this w/o my family’s support. I have been married to Nick for 25 years and have 3 wonderful daughters. Lanie is at Baylor Law School, Regan is at Texas State University and Rilee is at Rider high school. I would much rather have a book in my hand than watch TV! I am also a die hard Saints fan living in Cowboy territory. I have my Masters of Buddhist Philosophy from the University of South Wales. I’ve worked at P.E.TS. 6.5 years and support P.E.T.S. because I believe animals are awakened beings and this gives me the chance to assist their path. Fact: My pops once spit on a frogs head, sitting on a park bench, to impress a girl. I have 6 dogs at home Buddy, Snowball, Maggie, Fred, Karma and Luna seen in this photo with me. I used to be the ACO in Electra and I am still actively involved with the animals in town. I also volunteer as a foster for dogs through TPC and UE. I am a Colorado native so I love my mountains, all 4 seasons, nature and all dogs of every breed. I have 2 dogs. Mako is my 2 year old rescued lab seen in the photo with me. Korra is also 2 and a husky. Both were fixed at 4 months old and are 2 peas in a pod. My girlfriend Andrea is my son Liam’s mother. We both enjoy family life and our dogs. She also works with animals. I have been with P.E.T.S. for over 2 years. I was a volunteer first because of my best friend and dog Nova. When she passed 2 years ago, I promised her I would help save as many animals as I could for as long as I was breathing. P.E.T.S. is who I am! I graduated from Rider high school in 2011. I have a 7 year old mini dachshund, Stella, and Frankie my foster failure chi mix both in the photo with me. I’ve been with P.E.T.S. for about 3 years. Lorenzo is my brother and Esly is my sisters boyfriend but I consider everyone at P.E.T.S. to be my family.